Gennaro Gattuso’s side headed into Athens on Thursday night needing to not lose by more than two goals to Olympiacos. After a goalless first-half, Pape Abou Cisse’s header handed Olympiacos the lead before a Cristian Zapata own goal doubled their advantage. But the Colombian defender soon redeemed himself to Milan by scoring a critical header just 110 seconds later. However, Abate’s foul enabled Konstantinos Fortounis to score a late penalty for Olympiacos to secure a 3-1 win. The result enabled the Greek side to leapfrog Milan into second-place in Group F on goal difference. “We had started strong and were well set out on the field. 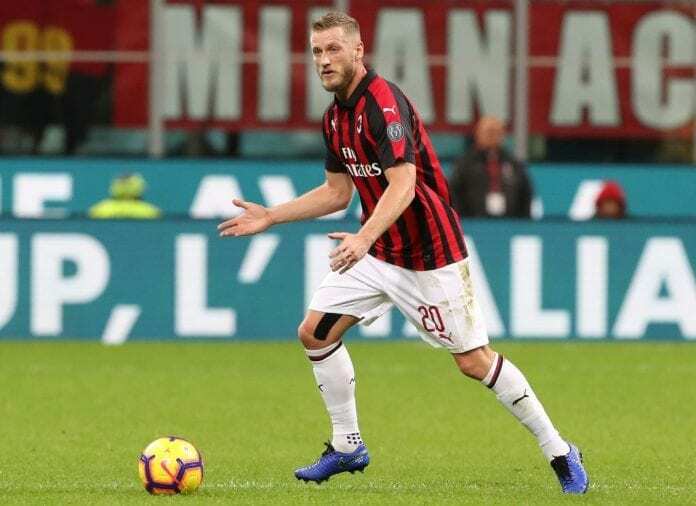 The regret is that we went behind, as we should not have conceded the opening goal,” Abate told Sky Sport Italia, via Football-Italia. “Once we got it back on track, they got that penalty. Incidents went against us. We could’ve done better and more importantly reached this final game with qualification already secured, because we had the quality to do that. Milan will next travel to Bologna on Tuesday in a Serie A match, where they will hope to retain their spot in the top-four in the standings.